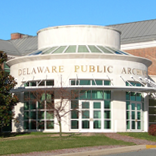 On Saturday, October 20, 1:00 p.m. the Delaware Public Archives will host a program focusing on the year 1968. While the Archives presented a program earlier in the year about the life and death of Martin Luther King, Jr., this special, expanded program will take a closer look at other major events in the pivotal year of 1968. The first part of this program, presented by historian Dan Pritchett, will focus on the life and death of Robert Kennedy. In the second half of the program, the focus will turn to the Tet Offensive. Dave Skocik will present the history of the Vietnam War up until 1968 and Lew Miller will share his memories as a new soldier in Vietnam when the Tet Offensive took place. The highlight of the Tet Offensive segment will feature former Delaware Secretary of State Ed Freel sitting down to talk with award winning journalist Mark Bowden about the impact of the 1968 Tet Offensive on the Vietnam War. Bowden is the author of Hue 1968: A Turning Point of the American War in Vietnam, and the #1 New York Times bestseller Black Hawk Down). Please note the afternoon start time for this program. The program is free to the public and will last approximately three hours. No reservations are required. For more information, contact Tom Summers (302) 744-5047 or e-mail thomas.summers@delaware.gov. Funding assistance for this program has been provided by the Friends of the Delaware Public Archives.